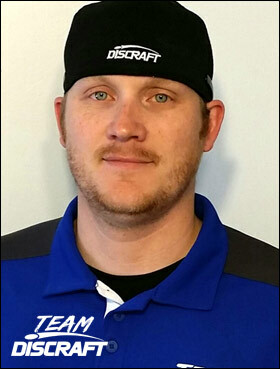 disc cred: I organize and run some of the best A-Tier events in the Midwest (the Rumble and the Titan Open) and co-running the 2017 Iowa Tour and helping to organize the 2017 Am Worlds!! I get the most joy out of this game running and organizing events. Promoting the sport of disc golf on a daily basis is my greatest accomplishment! My most memorable moments all happen just off the course. Usually before or after a tournament. The joys of seeing familiar faces and enjoying great company always supersede any wins or rounds played. Bettendorf IA My home course, that I maintain and spend the majority of my time on. A great mix of terrain, elevation and shots. Davenport IA This is a beast of course. One of the toughest courses around and an absolute must for any player passing through! This course will force improvement in your game. Bettendorf IA This is a new course that I am currently working on to get play ready. It is a long heavily wooded landscape with lots of elevation. Once completed it easily could be one of the best courses in the area. Urbana, IA This is a fantastic course. A hidden gem in the northern Iowa area. It is a very long tightly wooded course with huge elevation changes and fairways that demand great shots. Once again a must play for anyone passing through! Milford MI This is a course that I absolutely love! It challenges every aspect of your game and presents all the features anyone could ask for on a disc golf course. I recommend everyone get up to a USADGC and play it! ESP Force for flex drives both forehand and backhand. Z Force for overstable drives. X Force for maximum distance drives. The Force is a great over stable high speed driver for doing almost anything you can imagine. ESP and Z Nuke OS ESP for power forehand shots. Z for thumbers and tomahawks or any spike hyzer line needed. I use a Z nuke for any long distance turnover shots or hyzer flip shots. Pred is used as a utility disc for tweener holes or stable control shots. For optimum control on tight fairways. X and Z Cyclone For and tweener shot that needs to hold a line. Jawbreaker Zone and other plastic blends #1 greatest disc ever made! ZONE! I carry about 8 zones in the bag. I use the new Jawbreaker Zone as my primary putter and go to off the tee for control shots under 250 feet. I use a Cryztal FLX Zone for my overstable approach shots and drives under 300 feet. I carry a Glo Z, regular Z, and Pro D all for various shots.